On Monday, 13 February, Russian-backed militants carried out 72 attacks on the positions of the Ukrainian troops. One Ukrainian soldier was wounded in an attack, ATO headquarters said in the morning update on 14 February. In the Donetsk sector, militants shelled Pisky with 122-mm artillery and Nevelske, Verkhnyotoretske, Avdiyivka and Troyitske with 120-mm and 82-mm mortars. Nevelske, Zaytseve, Pisky, Novoluhanske, Verkhnyotoretske, Novoselivka Druha and Luhanske were attacked with grenade launchers and small arms. Nevelske came under sniper fire. In the Mariupol sector, militants shelled Vodyane were with 122-mm artillery, tanks, infantry fighting vehicles and armoured personnel carriers. 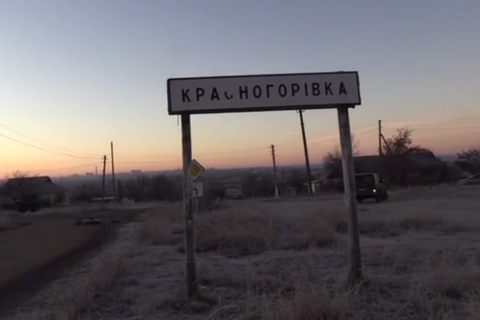 Enemy mortars shelled Pavlopil, Krasnohorivka, Shyrokyne. Lebedynske, Bohdanivka, Pavlopil and Shyrokyne. An enemy sniper was active in the area of Shyrokyne. In the Luhansk sector, militants shelled the positions of the ATO troops in the areas of Krymske, Valuyske, Novooleksandrivka and Stanytsya Luhanska with 82-mm mortars and grenade launchers. On Sunday, 12 February, the enemy launched 67 attacks on the positions of Ukrainian troops. One soldier was wounded near Avdiyivka.